I see many patients with thyroid issues and can count many friends and family among those who suffer. According the the American Thyroid Association, twenty million Americans have a thyroid condition and 60% of them are unaware. One in 8 women will have a thyroid problem in their lifetime and it targets women 5-8 times more often then men. It is time for an overhaul of how we diagnose and treat this problem. Until we do, many will be living lives that are harder than they need to be ( isn’t life hard enough?) and predisposing themselves to other ailments in the future. 1. 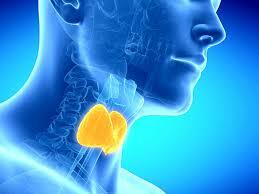 Thyroid problems can look like many things including ‘just getting older’ so it’s not taken seriously. 2. Most doctors run only a TSH level to screen for thyroid problems due to insurance coverage and, sometimes, lack of information and then use outdated lab normative levels to determine if treatment is needed. 3. We prescribe only synthetic thyroid instead of products such as Armour Thyroid or Nature-Throid due to lack of insurance coverage, possibly giving the patient a less effective treatment. 4. We don’t advise patients how they could employ lifestyle changes to help manage thyroid problems. The symptoms of an under active thyroid– feeling cold, lack of sweating, constipation, weight gain, brain fog, memory trouble, difficulty concentrating, listlessness, poor motivation, fatigue, needing a lot of sleep/naps, depression/mood swings, hair loss, dry skin, hormone irregularities, infertility/miscarriages, neck swelling, feel ‘not yourself’, slow heart rate and high cholesterol. Symptoms of an over active thyroid– Feeling hot, sweating, anxiety, mood swings, insomnia, panic attacks, fast pulse, palpitations, diarrhea, tremors, weight loss, muscle weakness, eyes bulge, neck swelling, irregular periods, infertility, rash or thickening of skin in front of your shins, hair loss, chronic hives. Then there is the problem of ‘what is normal’? Let’s focus on what is optimal. Optimal is where most humans will feel and perform their best. It is the spot with the fewest risk factors for development of other diseases and miscarriage. That being said, optimal is an individual thing and we should always listen to the person who owns the blood to guide therapy. I have had patients very happy at a TSH of 3-3.5 but unhappy at 2 or 4.5 (current local lab definition of upper range of normal). The American Association of Clinical Endocrinologists urged doctors in 2003 to consider TSH normal if it fell between 0.3 and 3.0 uIU/ml but they were ignored. Later, in 2012 they tried to relax the standard to an upper range of 4.12 uIU/ml except if your pregnant, in which case < 2.5 uIU/ml is the goal. Again, the advice fell mostly on deaf ears. And therefore we have millions of people suffering needlessly. You can do something about this. 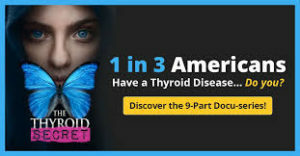 Please take some time to check out the free webinar The Thyroid Secret that is going on for the next few days here: http://urltag.net/BnIIN and learn about the problem.